The PGA Tour will soon begin testing the use of distance measuring devices, opening up the opportunity for players to potentially take advantage of golf wearables and GPS watches. Trials will take place at three Tour events this year, with a temporary rule allowing players and caddies to measure distance through tech. More advanced features, such as measuring elevation, slope or wind, will have to remain part of the challenge. "For years there has been significant discussion and debate about whether distance measuring devices would have a positive or negative impact on competition at the highest levels of professional golf," said Andy Pazder, chief tournaments and competitions officer of the PGA Tour. "The only way we can accurately assess their impact is to conduct an actual test during official competition on one or more of our Tours. We look forward to seeing how these tests go and carefully evaluating the use of the devices over those weeks. Our evaluation will consider the impact on pace of play, optics and any other effects they might have on the competition." And once that evaluation is complete, it will be shared with its Player Advisory Council on all of its Tours for additional review and discussion. With an influx of wearable tech flooding golf courses, it was only a matter of time before these devices found their way into the professional mix. The question now turns to which devices players will don if they do choose to go down the wearable route. Many, such as the Garmin Approach X40 and Vivoactive HR, are designed to be helpful away from the course, as well as on it. Devices like the TomTom Golfer, Game Golf Live and Garmin Approach S6, meanwhile, are more solely dedicated to helping you receive insights and improving your game. 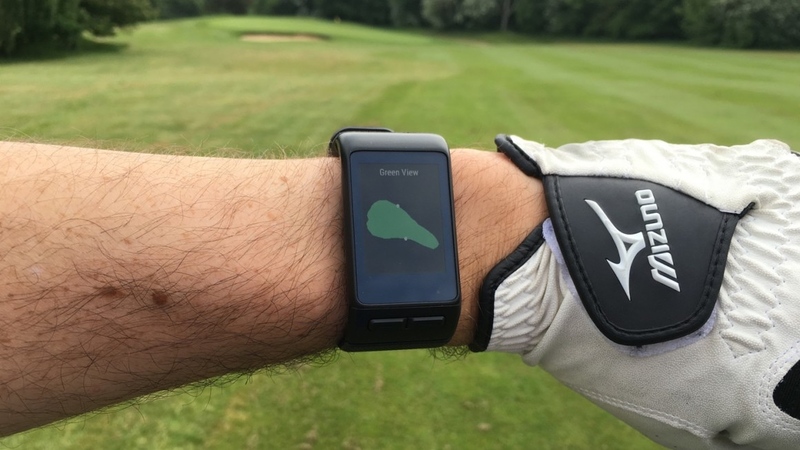 PGA testing will only allow for stripped back features on devices, but signs indicate wearable tech could soon become a staple of a professional round.